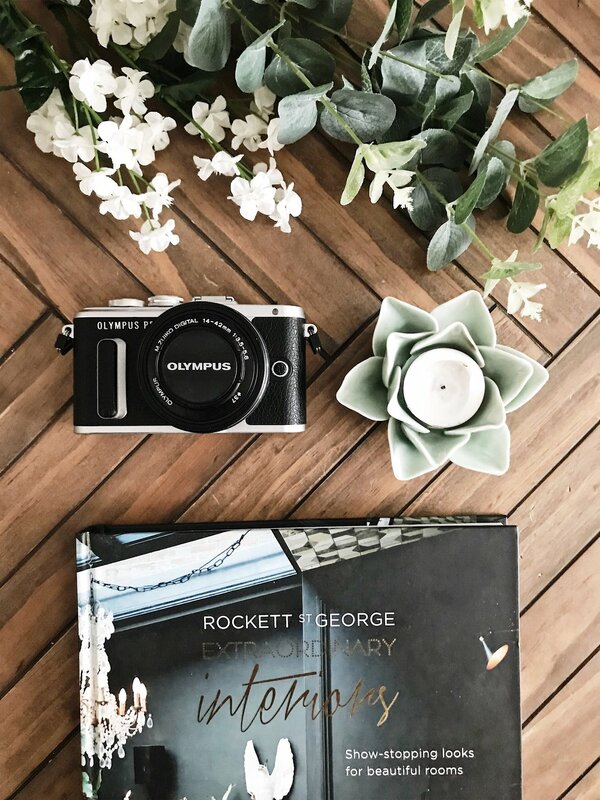 2018 has seen me halfheartedly try my hand at blogging, something that was my original plan way before I stumbled across the fascinating scene that is the Interiors world of Instagram. 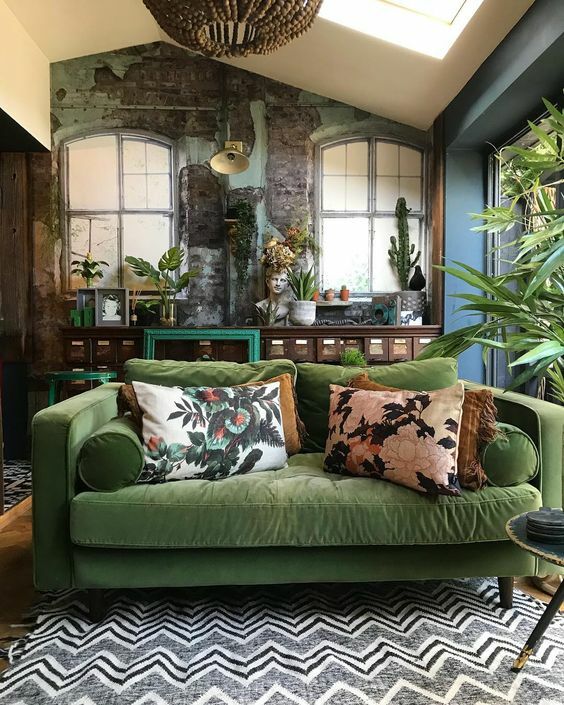 I thought Instagram was just for posting pictures of the lasagne you’d just eaten in a dodgy pub or your dog licking your face, but little did I know I was about to fall into a worm hole full of velvet sofas, pink baths and people intensely discussing how to hide your bog behind a large plant. And here is where the only time procrastination probably helped. 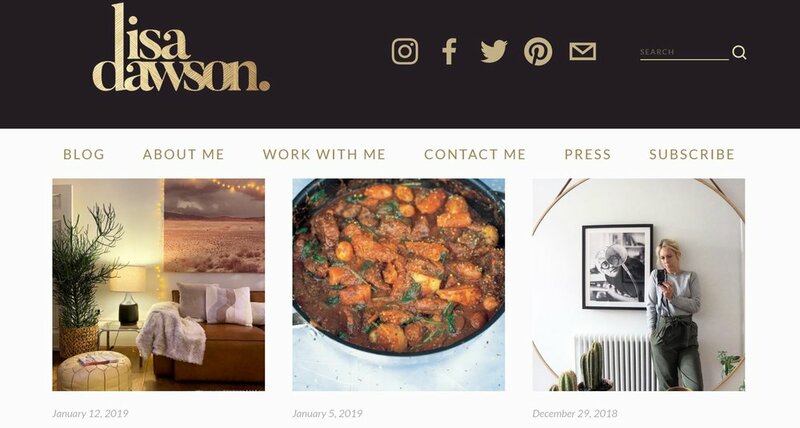 I spent so long (around 6 months) researching how to start/write/promote a blog that my Instagram account kind of took over, and what a thrilling ride it has been! We had a laptop, one that had been used as a tap-dancing station for my daughter, a coffee coaster by my Husband and trip hazard for myself. Suffice to say, we did not look after the laptop very well. It would take about 10 hours to load up, by which point I’d forgotten why I’d turned the damn thing on in the first place and often the screen would go blank after I’d just written 500 words for a blog which of course I’d not saved. So, I found myself squinting at my iPhone trying to piece together my new blog and hoping for the best when I pressed publish. 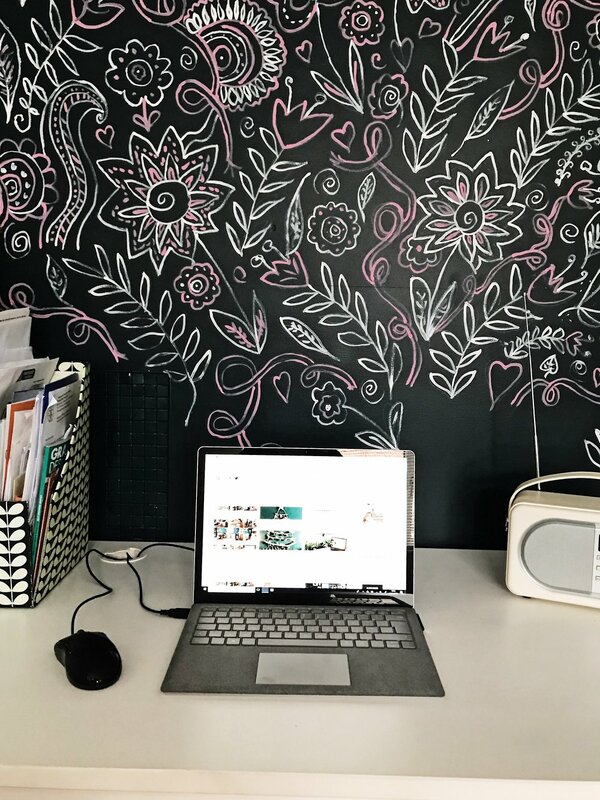 Thankfully, ao.com came to the rescue when they kindly gifted me the new Microsoft Surface Laptop which is perfect for a blogger. It is lightweight and beautifully slimline which makes it perfect to take on the road with you. It is quick to load up and log on and with its Intel Core i5 technology and 8 GB RAM, makes it an extremely speedy laptop. The screen is very sharp, but not too bright which is perfect for when you’re staring at Photoshop day in, day out! I would highly recommend this laptop. You can see the surface closer here. Teach myself how to Use my Olympus PEN – properly! At the beginning of the year I was all guns blaring; I’m going to make it as a blogger, you mark my words! I had the website up and running, a million words running around my head and Mr B had kindly purchased me a new Olympus PEN. I took it out of the box, all shiny and new. I did a few stories of it on Instagram telling my followers how it was going to change my world and then got about taking photos. On manual. The great thing about an Olympus PEN is the inbuilt Wi-Fi, so I took a few photos of my kitchen on the camera and then the same photos on my iPhone and was extremely disappointed when it appeared the iPhone photos had better clarity and were sharper. I even showed the photos to other people to get them to guess which was the expensive camera and which was the everyday phone and they all agreed with me. So, the Olympus PEN went back into the box, never to be seen again. But, as I write more of my blogs and realise I would like to try out new things in 2019 (including Stop Motion Animation), the camera is going to have to make an appearance and I’ll need to teach myself how to use it. Hours spent writing my blogs – 100. Hours spent diddley daddling with my blog layout – 1,439. Yep, I’m not just a faffer when it comes to interiors, I also faff an awful lot online. Take today for example, I spent an hour trying to decide where my Instagram block should go on my website, when really, I needed to be taking photos for this very blog. I need to stop obsessing over the perfect layout and concentrate on creating better content! Often, I’m found sat at my kitchen island pondering. 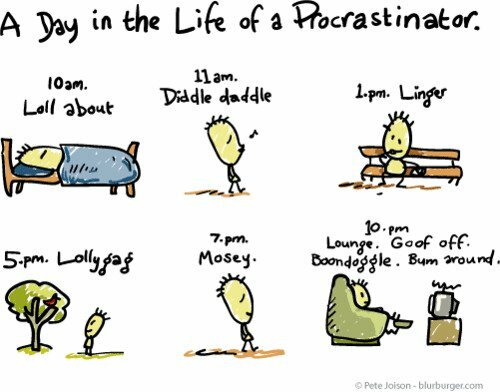 Sometimes its pondering whether I should go and write a bit on my blog, but I’ve only got 20 minutes until I need to pick the kids up so it’s not enough time. Then I might make a cup of tea, hang out around the kettle for 2 minutes, shout at a listener on Jeremy Vine on BBC Radio 2 for a further 2 minutes and then go back to the island and ponder some more. It took me 20 minutes to write the last 4 paragraphs, just 20 minutes every day over the course of the week would get that blog written. It’s becoming increasingly evident that Instagram is a fickle beast of which you have absolutely no control over. My account was doing really well last year until one Sunday it seemed that I had dropped off the face of the Instagram earth and ever since then I have struggled to get engagement and followers. I’ll admit, it has got me down at times because I love the platform and everything I have achieved through it, but then I realised that it had given me the confidence to write a blog and concentrate on interiors. I LOVE writing my blog and I’ve now set aside Monday and Wednesday mornings purely for writing. Every time an idea pops into your head, write it down! It’s not rocket science is it? As a busy Mum of two, it’s very rare I get a quiet moment to think. Normally ideas pop into my head whilst I’m having a shower or hanging around waiting for the kettle to boil. By the time I sit down to write my next blog, the ideas have long gone, away with my flat stomach of pre-children years and my ability to knock back 10 pints and a few shots on a night out. I always make sure that I have a note pad or my Microsoft Surface Laptop nearby these days, so I can quickly jot down potential ideas. If I can stick to these points, hopefully it will make me a better blogger over the year. I might not win any awards (Amara, I’m looking at you 😊), but it’s a start! Have you got any good advice? Let me know in the comments.